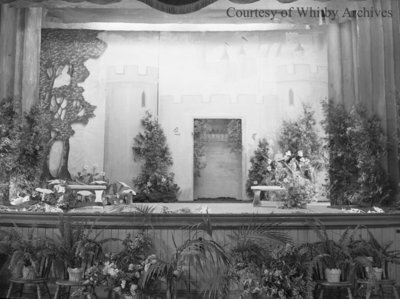 A black and white large format negative of the stage set for the Junior Theatre's production of "A Cobbler in Fairyland". Junior Theatre, May 28, 1949, Marjorie Ruddy. Whitby Archives A2013_040_344.